M3-8, Active Monitor from M-Audio in the M3 series. 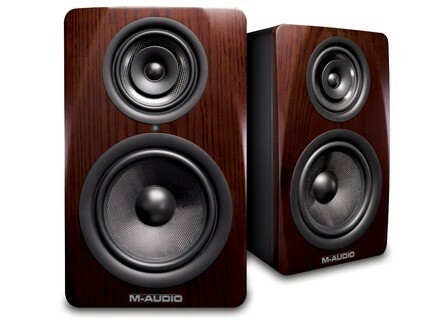 M-Audio announced the availability of their M3-8 three-way powered monitors and adds the M3-6 model to the series. The M-Audio M3-8, which had been introduced at Winter NAMM 2013, is equipped with an 8" kevlar woofer, a 5" mid speaker and a 1" silk dome compression driver with built-in waveguide. A triple amplifier in class A/B provide 220W of power (150W LF + 35W MF + 35W HF). Technical specs include a frequency response of 40Hz - 20kHz and crossover frequencies at 450Hz for low-mids and 3.9kHz for high-mids. 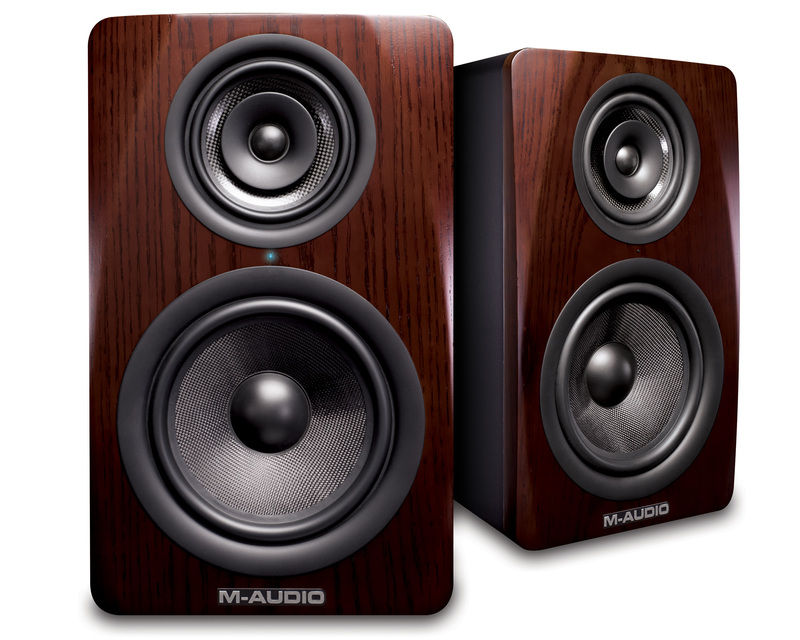 New in this series, the M3-6 is a 160W three-way monitor with the same design as the M3-8. Its employs a 6" kevlar woofer, a 5" mid speaker and the same 1" silk dome tweeter with waveguide. Frequency response is 50Hz - 20kHz and crossover frequencies are fixed at 400Hz (low-mids) and 4kHz (high-mids). You can adjust or bypass, on both models, the 3-band EQ (±6db cut/boost at 10kHz, 1kHz and 100Hz) and the low-cut filter (flat, 60Hz, 80Hz). The volume knob and the on-off switch are also located on the rear of the monitors, along with XLR, 1/4" jack and unbalanced RCA inputs. The M3-8 retails for 300€/unit approximately, no information regarding the availability of the M3-6. The elysia xfilter now in rackable format elysia announces the availability of the rack version of its xfilter stereo EQ, following the API 500 version of the module. The Behringer Ultragain ADA8200 interface is out Behringer announces the availability of its Ultragain ADA 8200 ADAT interface and AD/DA converter, which had been introduced at Winter NAMM. New JBL Pro LSR 3 Series JBL Pro launches this month two new LSR 3 two-way powered monitoring speakers with affordable price point, the LSR305 and LSR308.